With Christmas almost over for those celebrating by the Gregorian Calendar December 25th or January 7th Julian Calendar many might want to know what to do with your natural tree. The City of Moose Jaw has teamed up with the Wakamow Valley Authority to provide a convenient means of disposal. After removing all ornaments and tinsel trees may either be dropped off or they will be picked up by the City. 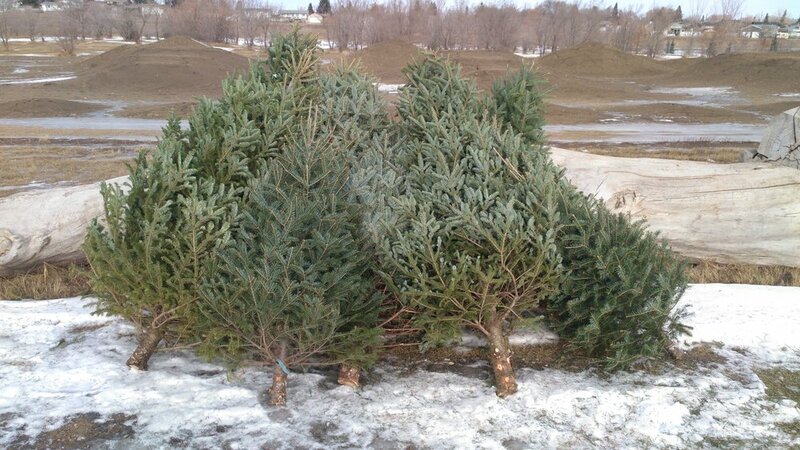 Until January 25th natural Christmas trees can be dropped off in the parking lot of the bike park on the west side of the Yara Centre 1220 High Street West. Additionally if a person so desires natural Christmas may also be dropped off at the Wakamow Valley Authority on 400 block of Home Street East. To drop off here please call Wakamow at 306 692-2717. The trees are run through a machine and ground into mulch used in the park. If a person so desires the City will be picking up trees throughout the City with the date dependent on the solid waste zone you live in – see below. З Різдвом майже для тих, хто святкує за григоріанським календарем 25 грудня або 7 січня Юліанський календар багато хто захоче знати, що робити з вашим натуральним деревом. Місто Moose Jaw об'єднався з органом долини Wakamow, щоб забезпечити зручні засоби утилізації. Після видалення всіх орнаментів і мішури дерева можуть бути або відкинуті, або вони будуть підхоплені містом. До 25 січня природні ялинки можна висадити на стоянці велосипедного парку на західній стороні Yara Center 1220 High Street West. Крім того, якщо людина так бажає природне Різдво, може бути також відкинуто в Wakamow Valley Authority на 400 блоках Home Street East. Щоб з'їхати сюди, будь ласка, телефонуйте Вакамову за номером 306 692-2717. Якщо людина так бажає, що місто буде збирати дерева по всьому місту з датою, залежною від зони твердих відходів, в якій ви проживаєте - див. Нижче.